After winning a punishing title defence on points, world middleweight boxing champion, Matty Burton (Paddy Considine), collapses. The journey towards regaining his speech, movement and memory will be the toughest fight he’ll ever face, and the prize could not be greater, for his relationship with his wife Emma (Jodie Whittaker) and baby daughter Mia are on the line. You could argue that we have heard this story before… many times before. A boxer gets into the ring only to emerge with life-changing injuries. And so begins the training for a new kind of fight - with recovery and rehabilitation as the ultimate prize. However, while Paddy Considine’s Journeyman may offer few narrative surprises, this intense, gripping and emotionally powerful film is (thankfully) far more interested in Matty and Emma’s journey than it is about developing an innovative plot. When focusing on character, a film need two things - an intelligent script and actors able to carry the story. Journeyman has both. Considine’s script draws us in while also feeling incredibly and impressively authentic. Meanwhile, Considine gives a truly stunning performance as Matty. This is an awards-worthy portrayal. Frustratingly, it will likely be overlooked but, nonetheless, this is a role that absolutely deserves our attention. Equally powerful is Jodie Whittaker’s performance as Emma. Much of the film focuses on her experience of Matty’s rehabilitation and it is devastating to watch. Indeed, as Journeyman enters its final act, I defy anyone to remain unmoved by this heartbreaking story. 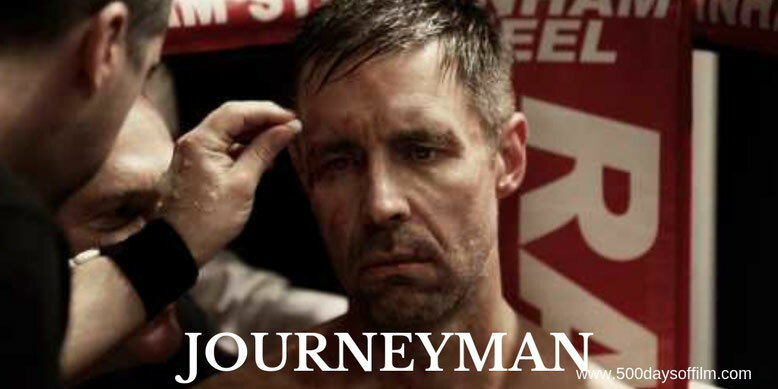 Journeyman is Paddy Considine’s follow-up to his hugely powerful film, Tyrannosaur.